Fundraiser by Ishan Markandeya : Future Scouts Summer Tour 2017! Future Scouts Summer Tour 2017! Hi, I'm Ishan - self-directed learner, storyteller, technologist and creative entrepreneur. I'm the co-founder of Metamaps.cc , Notthisbody , and now Future Scouts - http://futurescouts.co. 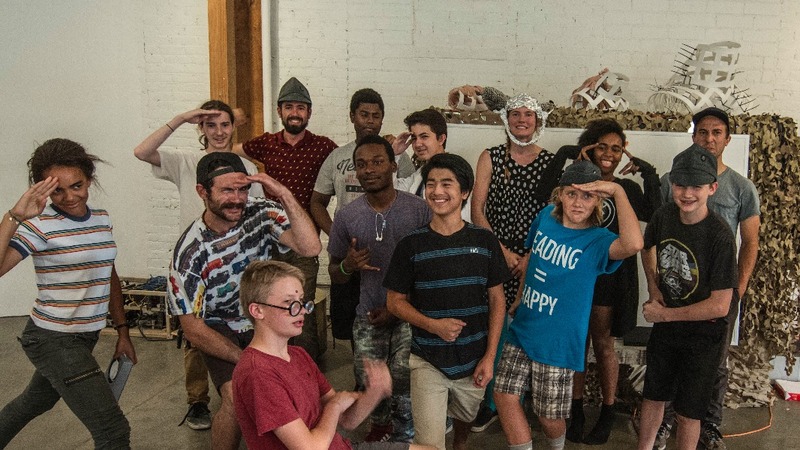 Last summer we launched our first Future Scouts program - a two week urban creative laboratory for 12 teens. Our program combined tech, futures thinking, storytelling, worldbuilding and experiential learning to help youth navigate their increasingly complex futures. We then did a program in Sydney, Australia with university students. We've been developing curriculum in the form of games (like Polypoly, a 21st century economics boardgame). Now we are in our second year, and we're going on the road! 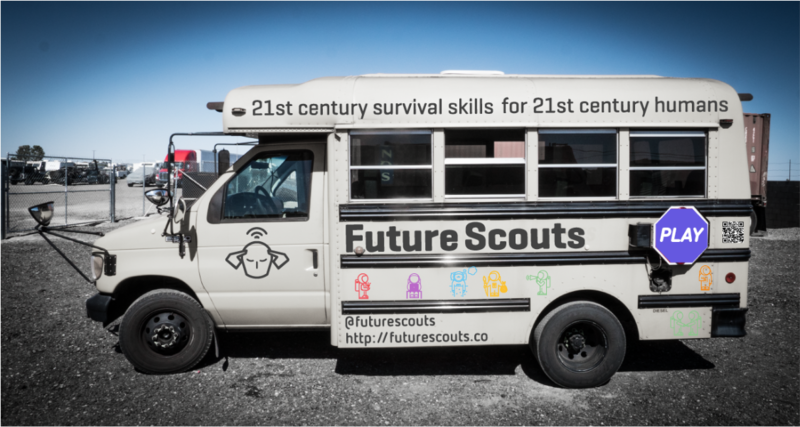 Future Scouts is completely by-donation for youth to participate in. That means we rely on your donations to help us scale this program! Staying by-donation enables us to take on youth who could not attend otherwise. This fundraiser will be open until August 17th to help us fund 3 programs in 3 cities! A 2 week program in Los Angeles in July, followed by 2 one-week pilot programs in Portland, Oregon and Ashland, Oregon! We expect to serve 36-48 youth this summer with exposure to hundreds of families. We do this on a shoe-string budget. We receive so many in-kind donations, such as our basecamps in each town (graciously donated), tours and visits, and it has reduced the cost of the camp greatly, but we still need to cover some core operational costs! That's why we've broken down our budget transparently so that you can choose what you contribute to. Some mentors in Future Scouts donate their time freely, some in the gift economy, and some need financial compensation to participate. We have mentors self-define their financial compensation up to a cap per day and per session. Last year we had to rent two vans for the two weeks - which cost $1500! 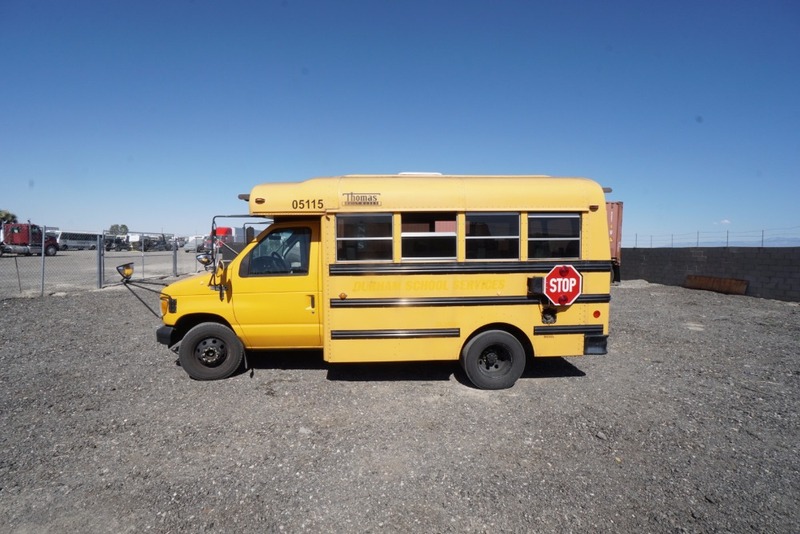 Well, for $1500 more than that we can get a low mileage 2001 Thomas School Bus! We have one on hold for us, in great condition, reliable diesel engine which can be converted to biodiesel, with seating for 14 people, exactly the amount per session that we need to carry, with no special license required to drive. We've done our research and this one's prime, and Michael, the seller, is giving it to us for a good deal because he was a scout himself! This summer we will also take this bus on the road and use it for our transportation in Portland and Ashland - so it will already save us the costs of transportation for two other programs! By next year it will have already payed for itself. We also help scouts obtain materials to make their creations during the camp. 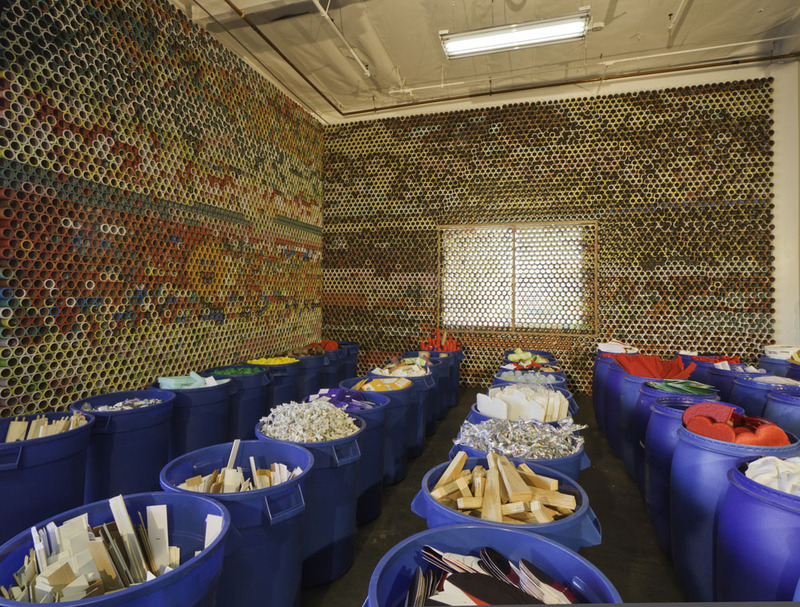 We do a lot of prototyping and so this helps us to obtain all sorts of materials - from high quality trash on the cheap from Trash for Teachers in LA to small circuit boards, maker kits, hardware, 3d printing costs, fabrics and more. We like to have various media creation devices for our scouts to use in their documentation and storytelling work. This helps us buy high quality media devices, instruments, wearables and other toys and tech to experiment and try out. We have to pay taxes, payroll, have insurance to run the camps, and also money for making signs, flyers, location promotion and the like. This helps us to cover our admin costs. While our mentors and volunteers are working, we like to provide them with healthy food. We also buy lunches for the youth who aren't able to bring a lunch to the camp. If you know of any restaurants or caterers in LA, Portland and Ashland who would be willing to donate, that's a way to help us too! Swag! T-shirts, stickers and more! We've got a bunch of designs ready to go and this will enable us to order enough cool swag so that we can give it out to our scouts and others who we run into during our trip. If you donate to this bucket here we'll make sure you get some! Our Thomas minibus gets from 10-15 city and 15-25 highway. 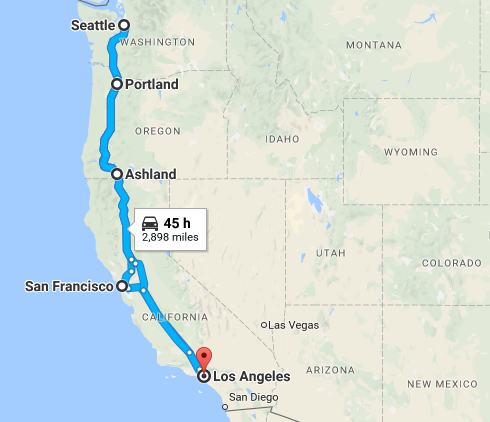 Our travels will take us 3000 miles this summer, and with 14 mpg as an average and diesel on the west coast averaging $3, we'll need about $600 to go from LA->SF->Portland->Ashland->Seattle->LA. Every contribution above $10 makes you an official ally of Future Scouts. If we hit our goals, you'll sure to get some exclusives and swag from us! Donations can be made tax deductible thanks to the Joy of Athletics Foundation, a California 501(c)3 focused around mindfulness for youth, which is passing through donated funds to Future Scouts. We have big plans for the rest of 2017 including workshops in Boston, Washington D.C., and Sydney, not to mention where we'll go in 2018! We're looking to bring on some key sponsorship for the program which will enable us to continue to build out the infrastructure so that people all over the world can start their own Future Scouts chapter. Our entire team will be so grateful for any support that you can give. Help us bring out the imagination, creativity and curiousity of our youth! Ishan and the whole Future Scouts team!